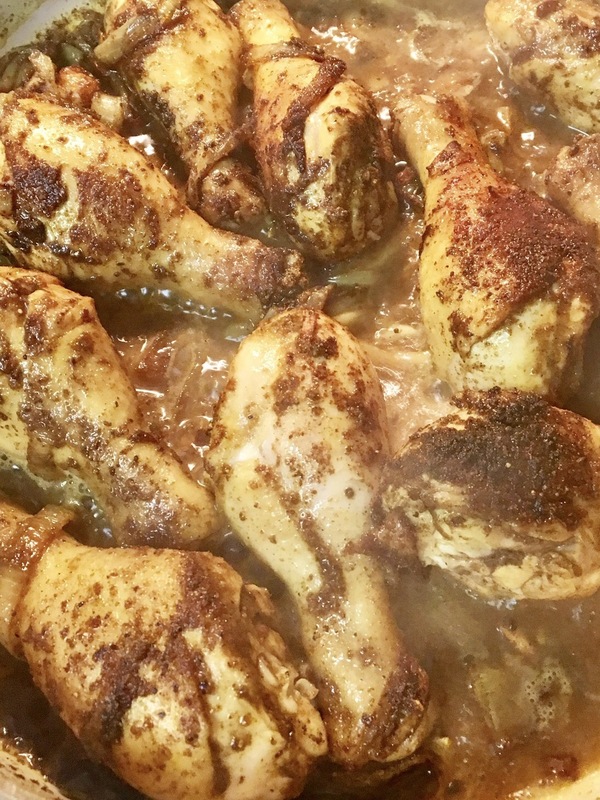 Curry in a hurry… chicken legs with potatoes! – Hurried Home Chef! 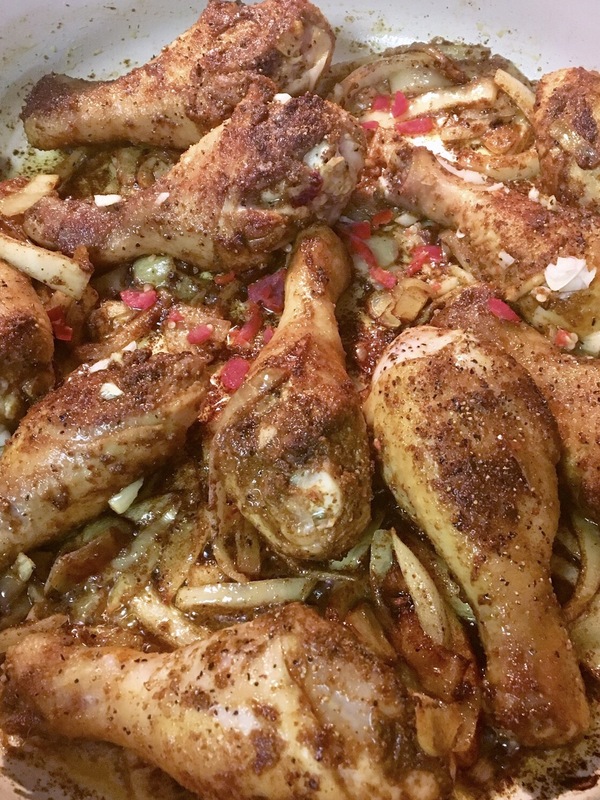 Curry in a hurry… chicken legs with potatoes! There are a million ways to make curry, and here is one of them. It’s more of a sprinkle and go method, for that after work craving that won’t go away! Special thanks to my cousin who taught me this method! 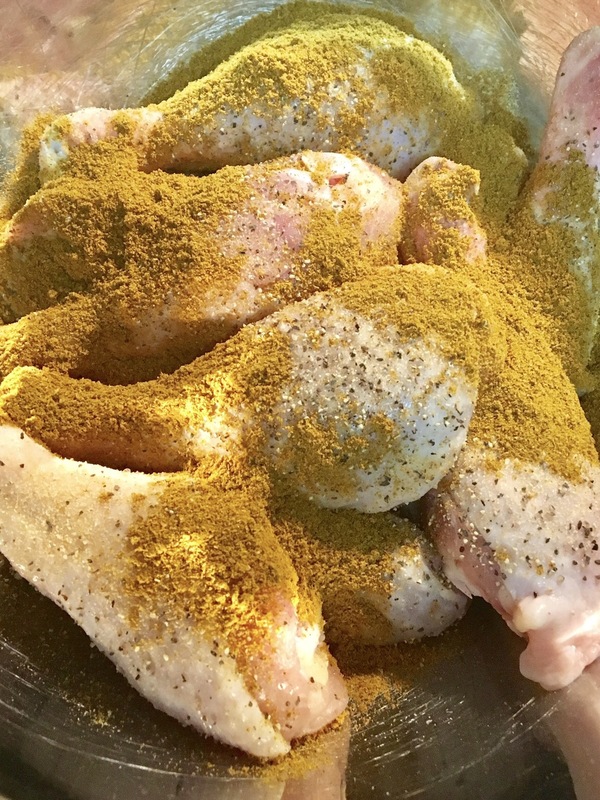 Step one: wash chicken with apple cider vinegar and water. Pat dry. 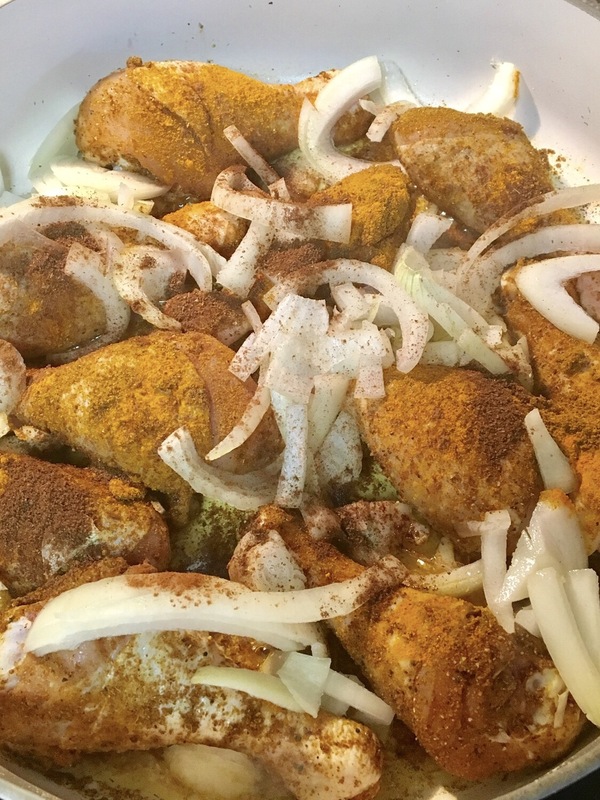 In a bowl, sprinkle on 1 tablespoon of curry powder, 1 tsp garlic powder, and black pepper to your liking. In a nonstick skillet, on medium-high heat, add 2 tbsp of oil, I use coconut or canola oil. 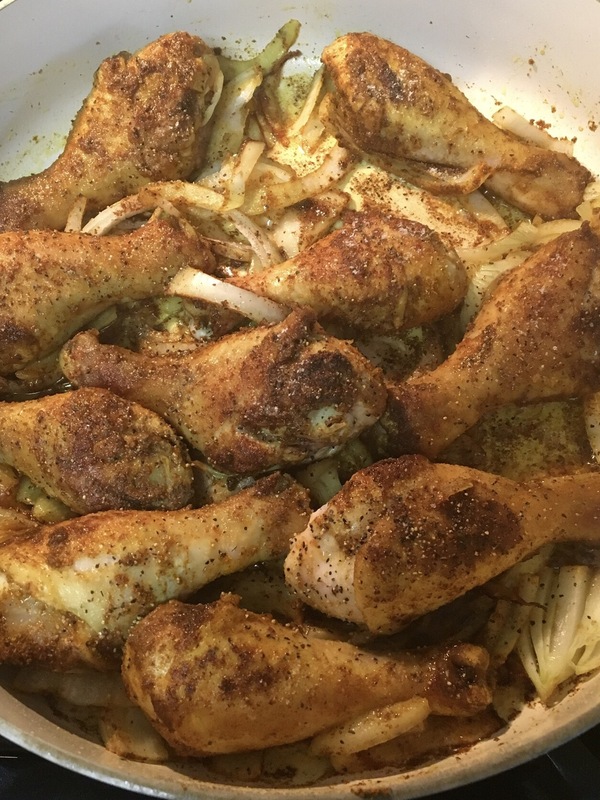 Sauté chicken and toss a chopped onion on top. Add a tablespoon of garam masala, fresh chopped garlic and a piece of habanero/hot pepper to your tolerance. Let it sauté, turn down the heat so it won’t burn, about medium now. Add a little boiling water, about 1/3 cup to prevent sticking and to allow it to cook. Let that cook down before adding more. If you want a gravy you will need about another 1/3 cup later. And maybe even more after that to get the gravy the right thickness. Add potatoes if you want, either the small whole potatoes, or russet cut into 8 pieces. Cook on medium to medium low, covered for about 10-15 minutes. 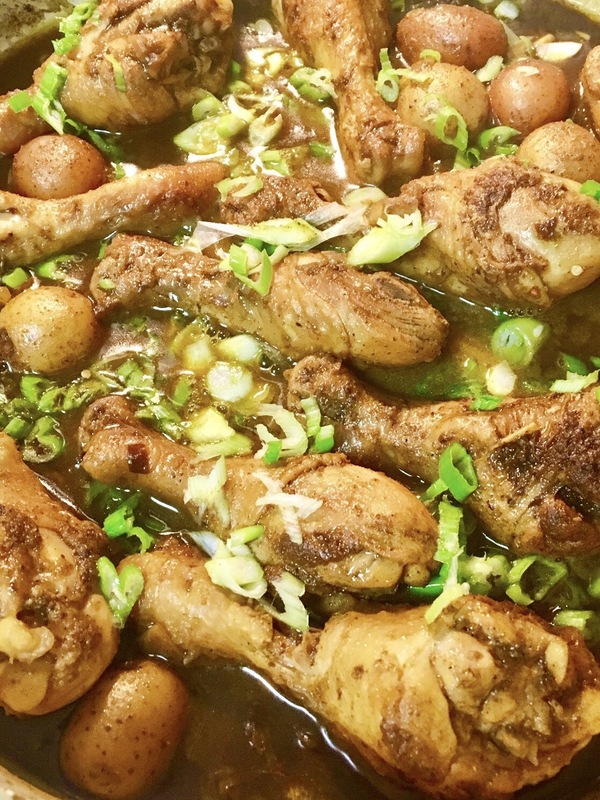 Once the chicken is cooked (you will see it pulling away from the bone) and the potatoes are knife tender, you can sprinkle with green onions, turn off the stove, and cover for 5 minutes. Next Post Filet Mignon, mashed potatoes, and asparagus–date night IN!